When you like to restore as well as improve the appearance of your smile, you have 2 great choices, which are veneers and tooth crown. However, in order to make the most from your new look, it is significant to understand the dissimilarities between such two options. This guide would make it simple to find the right option for you. 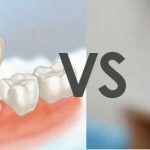 Dental Crowns – What Are They? A dental crown is a covering made from porcelain which is designed to conceal unsightly damaged teeth whilst making every tooth stronger. The crowns are of similar shape and color with your real, natural teeth so when the procedure is already done, the work will be invisible. 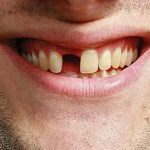 Why Should You Get a Dental Crown? Gold – normally used for rear teeth, this form of crown is durable and strong. Porcelain – it is usually utilized for front teeth and such crowns mimic perfectly the appearance of your real teeth. Porcelain combined to metal – this form of crown could be utilized all over your mouth and it also provides that natural appearance of porcelains as well as the strength and durability of metal. It is a slim sheet of either composite or ceramic resin tooth-painted filling material which is applied all around the tooth to enhance its shape and color. Some portion of tooth enamel will be removed beforehand so as to develop the bond between the tooth and veneer, yet otherwise the procedure turns to be permanent and won’t have an impact on oral health. Why Should You Get a Veneer? Indirect Veneer. This particular form of veneer that has been fabricated within the dental laboratory, either through the use of resin or porcelain. Porcelain is much better in hiding stains yet resin has been known for easy and convenient application and that it’s less invasive. These options are long lasting and strong. It requires 2 visit to your dentist. Direct Veneer. This form of veneer is crafted from composite resin that is applied straight on your teeth with the help of your dentist. This choice is more labor and time intensive and it is producing less expectable outcomes compared to indirect veneers. Any of these can be applied on your teeth, yet it is very important to choose the one that best fits your condition. Don’t worry because Destiney dental implant is here to help you. If you want to know more, or to schedule an appointment with Dr. Abadi, please do not hesitate to get in touch with us today. I came here yesterday for x-ray pictures, deep cleaning, and fillings. Had the best experience ever and learned a lot about my dental health. Doctor Abadi and Ana were so kind and made me feel welcome. Definitely going back and recommend this place to everyone! First I want to say thank you to Dr. Abadi and Ana & stuff they are all so nice and so welcome. Second before I went to Destiny Dental Implant I was so so scared. I had a very BAD experience at the dentist wear I use to live. I had to get a root canal done the worst experience I ever had. The dentist put a laughing gas on me and I would still feel everything when I was sitting in the chair so painful. Every area he would work on I would feel. After years went by my root canal cracked I thought getting the root canal was painful but this was the most painful. I want to dentist after dentist after dentist trying to get them to fix my cracked root canal no dentist wanted to fixed it. There was a bobble around my cracked root canal still no dentists wanted to fixed it after the 5th dentist i had enough that I told them pull it. The worst pain I ever had. After that I never wanted to go to the dentist again. I went to Destiny Dental Implant the best experience I ever had Dr. Adadi is so gentle friendly I walk out pain free. I am in shock, happy. He is good at what he dose. He did a root canal my worst nightmare I didn’t feel a thing pain free. I highly highly recommend this place to everyone I am so happy at his work again I highly recommend this place. Destiny Dental is a state-of-the-art dental practice that still believes in traditional values such as excellent customer service and individual attention. We know how important and valuable your time is and will schedule your appointments keeping all that in mind. Creating a welcoming and relaxing atmosphere is and addition to our modern cosmetic and restorative dentistry techniques which makes it easier than ever for you to walk out with a bright smile. Copyright © 2019 Destiny dental implant and orthodontics. All rights reserved.